It's a question that needs asking every indoor and outdoor season. 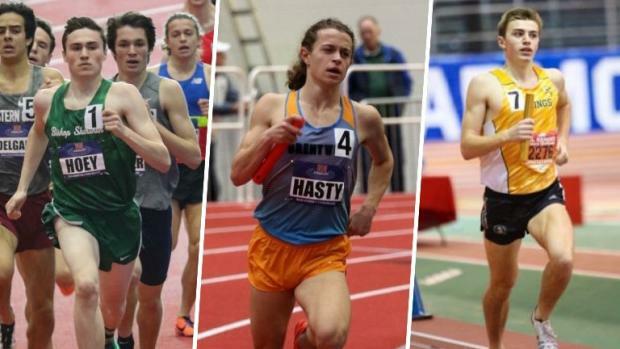 Will any high school boy break 4-minutes in the mile? While the feat has gone through a renaissance at the college and professional level in the last five years -- 132 athletes have broken four minutes out of the 502 total runners who have achieved that feat from 2012 to 2017, totaling 26-percent over that time -- the achievement still remains incredibly difficult for high schoolers to execute. Only 10 high school boys have broken that mark either indoors or outdoors, with Southlake Carroll (TX) High graduate Reed Brown being the last to do it outdoors in 2017. Only two high schoolers have ever run under four minutes indoors, with Loudoun Valley (VA) High graduate and Adidas athlete Drew Hunter accomplishing that standard in 2015. That doesn't mean many more didn't try. Athletes such as DJ Principe, Cooper Teare, Waleed Suliman and Noah Affolder all made valiant efforts indoors in 2017. Sam Worley, Brodey Hasty, Casey Clinger, Patrick Parker and Luis Grijalva all added to the list that ensued in the spring season. Will anyone make a run at it this winter? Note: As a disclaimer, this list only includes athletes we feel will have a chance at breaking four minutes over the indoor season, so that may effectively cancel out names like James Mwaura, Aidan Troutner, Drew Bosley, Andy Monroe, Dylan Jacobs, Gabe Fendel and Danny Kilrea. In the slideshow, we have our seven nominees -- some with better chances than others -- this indoor season.